Keyword Based Feeds is a tool to search for targeted content from several famous content providers with help of targeted keywords. Search results will be provided as original self-updating content feeds. Keyword Based feeds are Private content feeds. 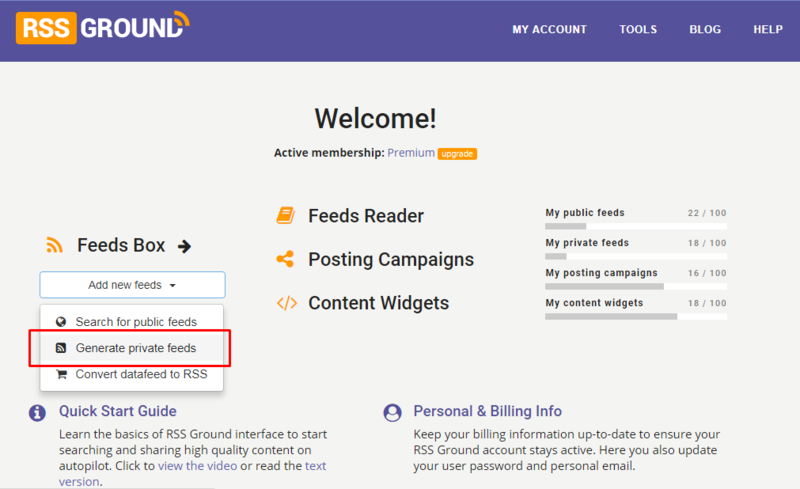 The number of active Private feeds may be a subject to limitations according to a chosen RSS Ground membership plan. 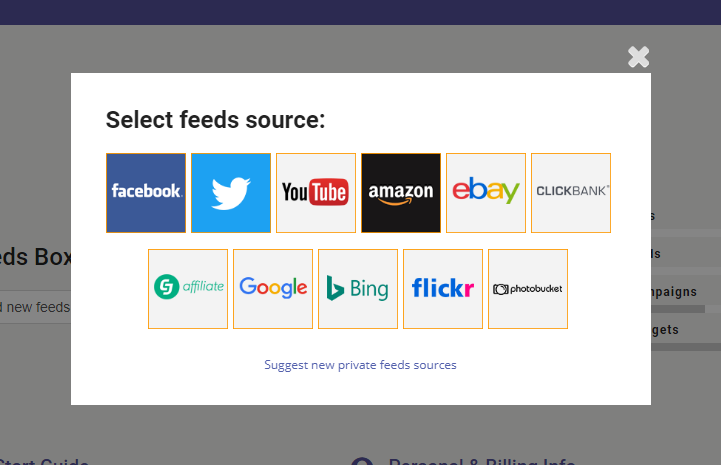 or on MY ACCOUNT page use "Add new feeds - Generate private feeds" option, and click a logo of a needed content source. First, specify a content source. One or several. Then specify search keywords. One or several. Up to 10. If you choose Google News a content source you will also see an option to specify language and region. 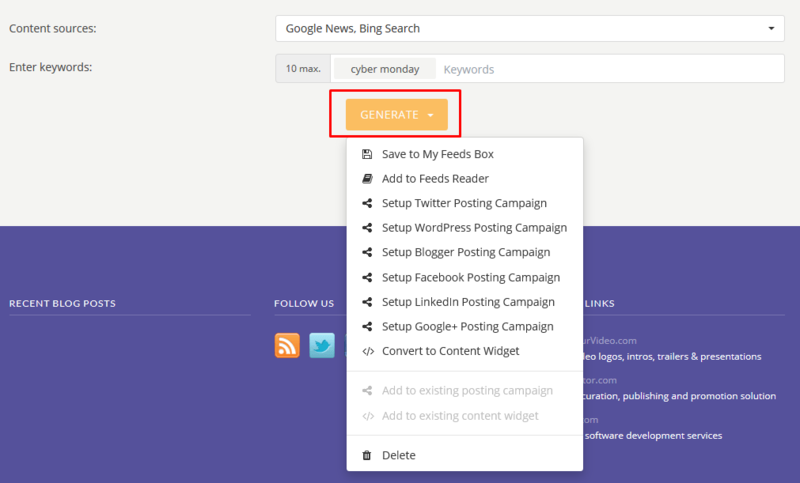 Use Setup posting campaign option to start sharing content from Keyword based feeds right away. Use Convert to content widget option to create a code snippet for your website or blog. Use Add to Feeds Reader option to start following all latest updates in regards to your search. Whatever option you choose your new Keyword based feeds will be also saved to your Feeds Box. We will generate a separate content feed for each specified search keyword and each specified content source.